Why are we wasting so much stuff? WHY ARE we still throwing away furniture, toys and bicycles which other people would love to get their hands on? And why are our landfill sites still piling high with items of all kinds that really don’t need to be buried? In an effort to make us all think more about what is really rubbish and which objects really deserve to be saved for someone else to use, Bristol Waste gave the Voice a preview of some of the treasures that are taken to household waste centres or put out with the bins. Many will be amazed that so much useful stuff is being discarded. Second-hand furniture stores would love to get their hands on some of the armchairs, an ornate dresser, stacks of chairs and coffee tables and a tea trolley – just some of the items selected from the dozens which have been brought in to the council’s refuse recycling centre at Days Road, St Philips, and a smaller centre at Avonmouth. A selection of the furniture will be on sale at the council’s waste centre in Albert Road, St Philips, on Saturday June 23. “We want to get more people thinking about reusing some of the stuff they throw away,” said Emma Williams, marketing officer for Bristol Waste. “We have been collecting some really good quality wooden furniture, as well as bikes and mobility aids,” she said. Bicycles are passed to one of three Bristol bike repair schemes including Bristol Bike Project. Tom Walton, manager of the two council recycling centres and the Albert Road waste transfer station, said: “It’s not just about getting people to bring their their stuff here, it’s about thinking if someone could use it. You could advertise it on social media, or give it to a charity shop. “Most charities don’t take electrical goods. But you can put small electrical items out with your recycling, and bring larger ones here. Quality used furniture which has been given to Bristol Waste will be on sale at the Albert Road waste centre in St Philips from 10am-12 noon on Saturday July 23. Furniture in decent condition includes coffee tables, lots of chairs, cabinets, cupboards and armchairs. Visitors will also be encouraged to think about finding a new use or a new owner for unwanted items before throwing them away. The money raised will help support the Bristol Reuse Network. Bristol-based French upcycler Delphine Briere has turned scavenging into a profitable business. She makes upcycled jewellery and accessories out of rubbish, using things like unwanted fabric, cutlery, clocks and even old drinks cans. The Makershed in St Paul's offers workshops and courses in woodworking, upholstery, upcycling or DIY – especially useful for turning battered furniture into useable items. 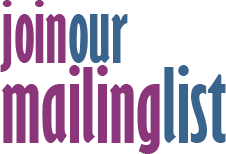 It welcomes complete beginners and more seasoned makers alike. The Bristol Reuse Network is a group of organisations who promote re-use and stop materials being thrown away, and find uses for them. This includes used clothing, waste resources from businesses reused for children's play, unwanted wood, household items and surplus food catering. We can use it! 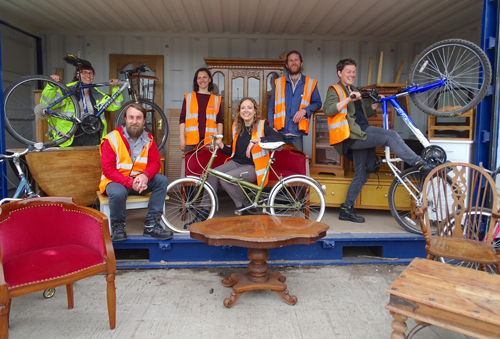 Members of the Bristol Reuse Network steering group with furniture and bikes collected by Bristol Waste. Rear from left, Joanna Dainton, Bristol Waste community engagement officer, Lawrence from Bristol’s Tantric Field, Fern from Maker Shed, Ellen Jones of Bristol Waste, James from Bristol Bike Project, and Delphine who upcycles under the name Phipholle.